Kids would love and enjoy something new for their bikes. 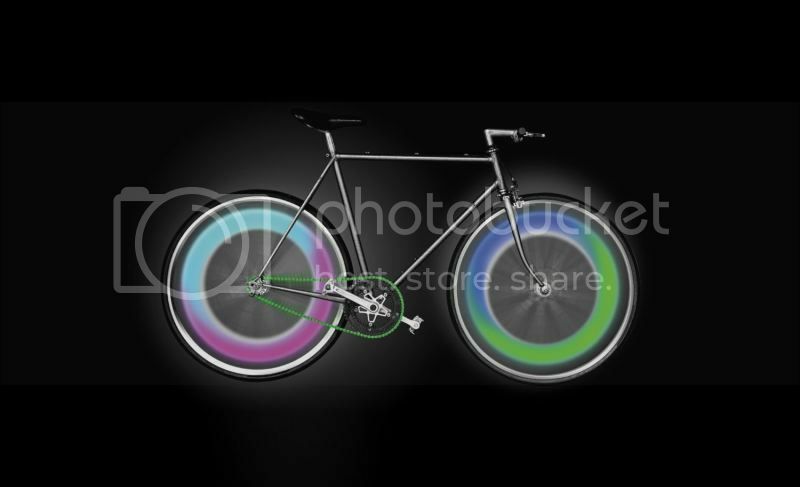 It would be an awesome accessory to get your child a nice super bright rim light, which can be personalized LED for their bike. I've only seen one before when a kid passed by us last summer with his pimped bicycle. I received a pack of personalized LED colorful wheel lights, this is perfect for safe and fun, easy to install as well. I will be putting this on my son's bike and surely be awesome at night time. Where it's dark out and all you can see are those long lasting super bright rim lights. The packaging is good, it came in the mail with a bubble wrap envelope and it is also in one plastic pack which the items are safe. There were 2 whites, 2 green and 2 blue even to make that dashing light at night. If your kids love to ride on their bikes, this would be a fun thing you can get for them. They'll stand it also as lights at night if they are riding them safely in your yard. This would be great to have. MY kids would truly like this.